Everyone loves Paris, but exploring costly Paris can wear quickly on your purse strings. Continuing with one of our favorite blog series Free Things to Do in Paris, we've come up with a few more ways to stretch your budget,while exploring more of the city. A former train line, this nearly 3 mile long overpass is now lined with trees, flowers and is one of the prettiest green spaces in Paris. Below the overpass are former arcades that are now galleries, boutiques and design shops. Find it at Avenue Daumesnil in the 12e arrondissement. 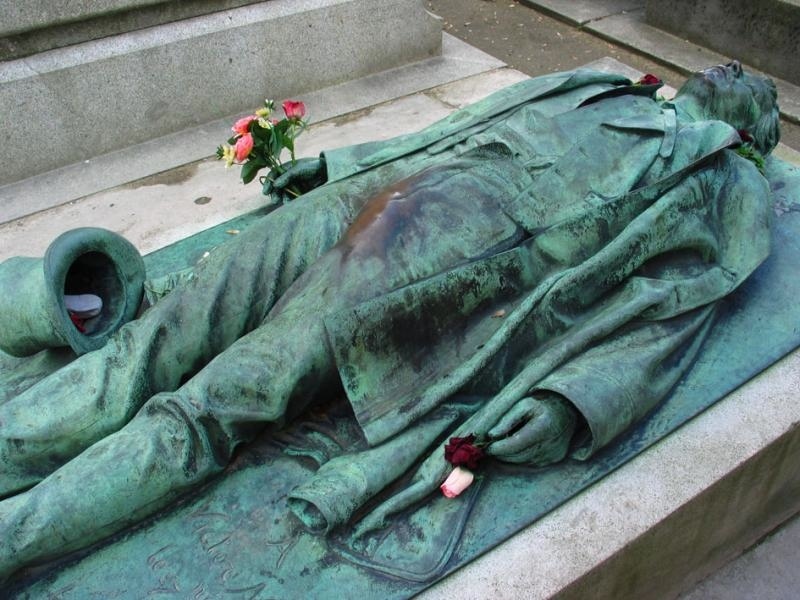 First opened in 1804, the most famous cemetery in Paris is the resting place for luminaries like Oscar Wilde and Jim Morrisson as well as darker historical figures like Rafael Trujillo.Get there: Philippe Auguste on line 2 or Gambetta of line 2 of the Metro. Paris is full of glorious flea markets – from tasty food to vintage fashion finds, there is a market that is sure to please even the most savvy of shoppers. Saturdays and Sundays are the best days to visit markets in Paris (and sometimes, the only days they are open). Two especially popular ones are Marché Clignancourt, the largest in Paris, and Porte de Vanves. Get there: métro to Porte de Clignancourt (Line 4) / métro to Porte de Vanves (line 13). Tip: while haggling a bit can get vendors to lower their price from 10-30%, it is not quite as common as other parts of the world. Let us know Do you have any favorite free things you like to do in Paris? Send us an email with your tip to info(@)aeontours.com and we may publish yours!